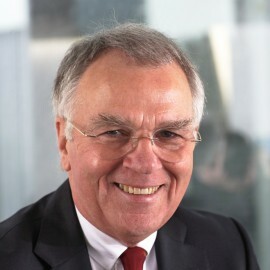 Guenter Droese is an executive director of ECIROA and the former chairman. Today, he provides services as an independent consultant around Insurance, Captives and Risk Management after retirement from Deutsche Bank AG. Guenter was a Managing Director of Deutsche Bank AG and Deukona, the in-house broker. As Global Head of Corporate Insurance, he was responsible for design, structure and administration of the risk transfer into the insurance market, including the internal cost allocation, claims handling, captive management and various contributions to operational risk quantification and reconciliation with the bank's regulator. He has a diploma as a national economist and is a former senior account manager and senior underwriter of Germany's lead insurer Allianz AG. Guenter is also a former member of EIOPA´s Advisory Board, Efirm (Chair), DVS (member of the Board), and bfv. He is a lecturer of Frankfurt University since 2007 at the Institute for Law and Finance.